Brian Tietje is Vice Provost of International, Graduate and Extended Education. 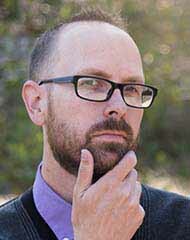 He has been a member of the Cal Poly faculty since 1999 as a tenured marketing professor. 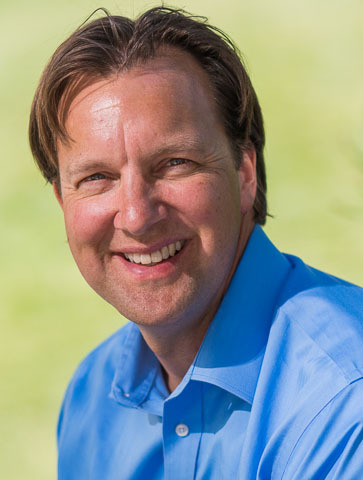 Dr. Tietje received his undergraduate degree in business at Bowling Green State University, his MBA from the University of Hawaii, and a Ph.D. at the University of Washington. He has corporate sales experience with Johnson & Johnson, Northwestern Mutual, and Culligan, and presently serves on the Board of Family Care Network, Inc.
Dr. Tietje is a past member of the editorial review board for the Journal of The First-Year Experience and Students in Transition and has co-authored several books, including Anybody's Business (with Barbara Van Syckle), The College Experience and The Community College Experience (with Drs. Amy Baldwin and Paul Stoltz), andA High School Parent's Guide to College Success (with Dr. Amy Baldwin). Cheri works closely with the Vice Provost on special projects, new initiatives, and personnel policies and procedures. She is the key to keeping things running efficiently in IGEE. At Cal Poly since 2000, Cheri previously worked as the Administrative Analyst for the University Honors Program. Over the past seventeen years at Cal Poly, Cheri has gained a wide range of higher ed experience, and developed excellent relationships with faculty, staff, students and administrators across campus. She has a broad background of empirical knowledge about how things work, and the resources to get things done. Cheri is a Cal Poly alumna, and holds a Bachelor of Arts in History with an Art Minor, and a Master of Arts in Educational Leadership and Administration. 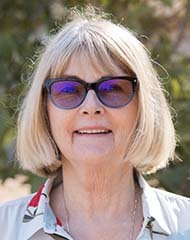 Before relocating to the Central Coast in 1999, she spent eighteen years working as a clinical coordinator for a busy neurosurgery practice in Southern California. A Cal Poly alumna, Elaine came back to Cal Poly in 2008 after extensive experience growing businesses and building brands in the private sector. A marketer for over 30 years, she is a recipient of several national direct media awards and the author of "The Black Dog Summer on the Vineyard Cookbook." Under Elaine's direction, IGEE Marketing staff and student interns create video, print and digital collateral, social media campaigns and websites for Graduate Education, Extended Education and the International Center. As the Director of Operations, Sandra reviews departmental practices and develops strategies and tools to improve business processes. The dynamic nature of extended education programs requires that the department adapt to shifting priorities, and Sandra helps Extended Education with this effort. Her role also involves monitoring program budgets and maintaining the department’s administrative systems. 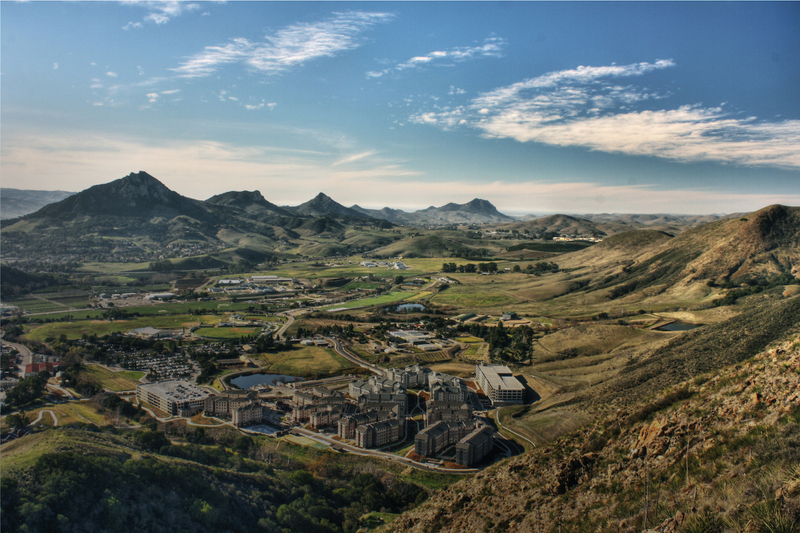 Prior to joining Extended Education, Sandra worked in Cal Poly’s University Scheduling office for 5 years. She also participated in the integration of Extended Ed’s enrollment and student financial processes into PeopleSoft. Dianna Previs is Assistant Director of Professional and International Training Programs in Extended Education at Cal Poly. She manages and leads Extended Education's effort to meet regional and statewide workforce development needs and internationalization opportunities through non-credit and non-degree courses, workshops, and other innovative educational solutions. Ms. Previs received her undergraduate degree in Middle Eastern Studies at the University of California at Berkeley. She has an MBA from the University of Chicago, and Masters’ degrees in International Economics from the John’s Hopkins University School of Advanced International Studies (SAIS) and in Applied International Studies from the University of Washington. In addition, Ms. Previs has over 20 years of experience in strategic planning, marketing, and product development. She has worked in the health care, event planning and adult education industries, and has served on a variety of youth sports and parochial boards. Sara Ahangar Ahmadi received her Ph.D. in Curriculum and Instruction from Ohio University in April 2016. She has her Master’s and Bachelor’s degree in Teaching English as a Foreign Language from Azad University. She has a long history of teaching classes at the university level and coordinating educational programs at language schools. Additionally, she has been teaching literacy and ESL both to children and adults. Sara joined Extended Education as a Program Coordinator this spring and has been busy planning and launching the 2017 Quarter Plus Program (the fourth year) in collaboration with other Extended Education staff. In addition to Quarter Plus, Sara is also organizing and developing program/courses in cooperation with College of Agriculture, Food & Environmental Science; College of Engineering; and College of Liberal Arts; plus Non-credit Writing classes. Rose Duran is an Academic Program Administrator for Extended Education. She has been at the university for over ten years. She currently is working with the Vice Provost of International, Graduate and Extended Education on special projects, including employment data analysis to gauge market demand for programs offered by Extended Education. Rose Duran has extensive business experience. She obtained her undergraduate degree from Cal Poly in Business Administration with a Concentration in Marketing and her Master of Business Administration from The University of La Verne (2011). She serves on several local boards. As the IT & Registration Coordinator for Extended Education, Irma Arellano is responsible for making sure that our students are able to register for Extended Education classes. Irma works closely with the various administrative departments on campus to guarantee that Extended Education students are provided the services they need for successful completion of their courses. As the IT Coordinator, she oversees and supports the computer software and hardware used by the Extended Education staff. Irma has over twenty years of experience working at Cal Poly Extended Education, and has gained a thorough knowledge of each area of the department and its workings with the Cal Poly campus. You can look for Irma at the back of a crowded forum, with her hand in the air asking "Is this going to include the Extended Ed students?" Brian joined the IGEE marketing team in fall of 2015 to develop videos and manage the social media accounts for the departments. With a dedicated team of student interns dubbed “The Action Team,” Brian has produced over 100 promotional videos since starting- and the production schedule shows no sign of slowing. Katie joined Extended Education in 2013 as a Program Support Coordinator. In this role, Katie assists the Program Coordinators with developing and maintaining non-credit, degree, and certificate programs. Katie works closely with the Orfalea College of Business and the Architecture masters programs, as well as the Kinesiology department’s summer offering of physical education workshops. Katie is a Cal Poly, San Luis Obispo alumna, holding a Bachelors of Science in Agricultural Business, with a minor in Food Science. As a program support coordinator, Andrew works with our Program Coordinators to facilitate the execution of the courses and programs that run through Extended Education. He works most closely in collaboration with the School of Education, College of Liberal Arts, online programs, and the Fire Protection Engineering Program. Andrew also works with our Registration Coordinator and the Director of Operations to ensure the completion of student enrollments and monitor student payment deadlines. Andrew came to Extended Education after working in the retail industry for over 18 years. His retail career started off as a sales associate for the Gap in Cleveland Ohio in 1995. Over the years, he worked his way into various management positions within Gap Inc., that concluded as a manager for Banana Republic in San Luis Obispo. In April 2014, he was hired as a temporary hire and then became a permanent employee in September of the same year. Helen works closely with the Director of Operations in Extended Education. Her responsibilities include, but are not limited to, reconciling program budgets and assisting the Director in monitoring the department’s financial health. She will work with the Director on initiatives to continually improve the department’s financial reports. Prior to joining Extended Education, Helen worked in the wine industry as a business analyst. Her professional career in database management and analysis begun as a graduate student at SUNY Stony Brook in Sociology and a fateful summer job with Random House/Knopf Publishing. Many years later, her work in health care analytics lead to a Master degree in Public Administration. In 2013, she returned to data analytics after a 5 year hiatus. During that time, she nourished her entrepreneurial roots managing an independent bookstore and later starting a restaurant in Murphys, CA.